April is Earth month, so it’s a good time to ask: Is your school or building making an effort to be environmentally friendly? Is it part of the Leadership in Energy and Environment Design certification (LEED)? If you answered yes to either of those questions, then we have templates and features built into Rise Vision that you should know about. We’ve probably all met a person similar to the one below (i.e. 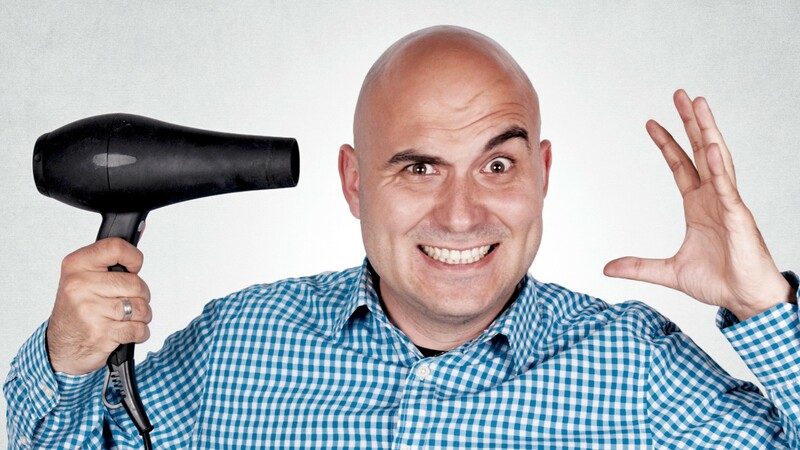 the guy who blow dries his bald head, and seems to think there is an infinite amount of energy in the world). There’s a lot of displays similar to this image--displays that stay on after hours when absolutely no one sees them. It’s not only wasting electricity, it’s wasting money. Even if you have a large budget, showing your employer that you can save them money is never a bad thing. Display Control, which is included with Rise Player Professional, can automatically turn your Display On or Off according to the Schedule it is assigned to. This allows you to conserve electrical usage and extend the life of your hardware. It also avoids having someone calling you in the middle of the night to ask why a display is illuminating a building that is closed. To see just how to use it, visit this page; feel free to contact us if you run into any difficulty. Saving on your electric bill is good--but there’s also a number of tax credits for businesses that are willing to be energy efficient. If your interested in learning more about tax credits for going green, visit this page. We’ve outlined three very easy steps to ensuring your displays are environmentally friendly; you can see them in this post. Our Creative Team has also added several templates that show viewers you care about the environment. Finally, we have brand new templates just for Earth Day and Earth Month. One other feature you may not know about is Display Monitoring. This helps you quickly troubleshoot any problem display, so you don’t have a display that’s on but not actually showing content.